Werner's Cairns blog: Burning the Australian flag by aboriginal activists was disgraceful! Burning the Australian flag by aboriginal activists was disgraceful! 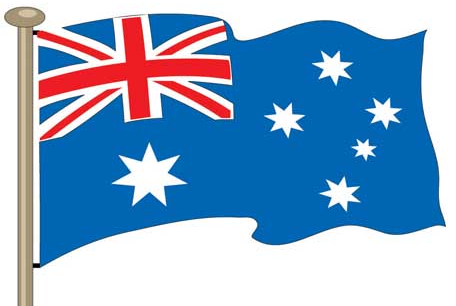 As a migrant to this country I swore allegiance to Australia and its flag, which is the symbol of our Nation. Many Australians have died fighting in wars under this flag and for this wonderful country. To see it burned in our National Capital, Canberra, and especially on our Australia Day; by radical aborigines is an absolute disgrace, and this is an understatement. This appalling act went around the world like wildfire to the embarrassment for every true blue Australian. The question begs, why were those people burning our flag and showing malicious satisfaction is not charged for this awful despicable act? Why are the federal police and the federal government turning a blind eye on this matter? If I would have done the same I would have ended up in court. Julia Gillard tells us that Hodges acted without her knowledge and permission; nobody will believe her as she had been lying to the Australian public before. The aboriginal population in Australia is a mere 2 percent, but many of the benefits they receive are out of reach for 98 per cent of our population. However, they are not satisfied; they want more. I do not condone how the aborigines were treated in the distant past, but things have changed for the better. Even if Tony abbot didn’t say it, many Australians would like to have this aboriginal tent embassy aberration removed - it is a “dark” stain on the Australian landscape. We must never put all Australian aborigines into one basket; we have many indigenous roll models in our country that distance themselves well from the radical elements and despise the handout mentality prevalent in the wider aboriginal communities. The Australian Taxpayer is pouring billion of dollars into Aboriginal communities, it is a bottomless pit, but they have nothing to show for it. The so-called “Stolen Generation” of aboriginal children was a misnomer, they were not stolen from their parents; they were taken away because the mothers rejected them, and those children were taken in by “white Australian” families and given a better life and an education. And most of them showed gratitude for this. Australian aboriginals should be thankful that Captain Cook did make a left-hand turn on the East Coast of Australia and claimed the country for the British. Had it come under the jurisdiction of another country, the aboriginal race may have become extinct. When former Prime Minister Kevin Rudd apologised of what had occurred in the long distant past, everybody thought this was their ultimate price they strived for, and thus being the finality of their constant demands for privileges and handouts. However, we were all wrong and, whether this apology was necessary or not is still debated in Australia. When I came to Australia with a pregnant wife; a fourteen month old daughter; no money and not speaking English, we experienced many hardships, but we never complained. We assimilated and integrated into the Australian way of life and are proud Australian citizens today. What we posses; we worked for; we went on with life without complaining or asking for handouts from the government. Why isn’t the great majority of indigenous Australians do the same? Also read: Australian National Flag. Watch the video about the Australia Day political circus. Werner, we totally agree with you, and if this would happen in any other country they would have you behind bars or shot. It seems that we have two different laws in this country – one for Black and one for Whites. Your posting is spot on. The sad part is that we working Australians provide millions of dollars for aboriginal communities and their welfare, yet they despise us; burn our flag, but take our money. I wonder if the Australian taxpayer pays them for the upkeep of the Aboriginal Tent Embassy. (ATE) I wouldn’t be surprised. I totally agree with you that the ATE is a stain on the Australian landscape and should be removed. Thank you, this posting says what most Australians think, but don’t have the intestinal fortitude saying it. I was sickened by the burning of the Australian flag – the flag so many great men died under. We must look silly to the world for allowing this Aboriginal Tent Embassy to visually pollute our National Capital. 40 years of special treatment and welfare-reconciliation has failed. It is time we treat all Australians equally. If we allow people to be treated differently under the law because of their race or religion, where will it end? This posting puts it into a nutshell. The quote was fitting perfectly and it would be nice if our Aboriginals take it to heart and sing from the same song sheet as the other 98 percent of Australians.